In April of 2017 I visited WARC on the occasion of the open day to mark 70 years since the formation of the club in 1947. I became a member shortly after this event and was made welcome immediately and I now know and appreciate the depth and range of knowledge owned by the membership. The suggestion that I should take the office of Chairman, in the 71st year of WARC, was met with surprise and gratification. At the open day last year, it was easy to appreciate the club’s history and it’s wealth of achievement in technical, operating, contesting and social events as depicted in the photographic and video exhibits, much of which is still on display in the club room. I see a vital role of the Chairman and committee of the club as ensuring the continuation and development of these and other activities. The vast range of interests within the amateur radio hobby presents both a challenge and opportunity to move forward whilst maintaining the standards and practices which the hobby and it’s many clubs have held, on an international stage, for decades. 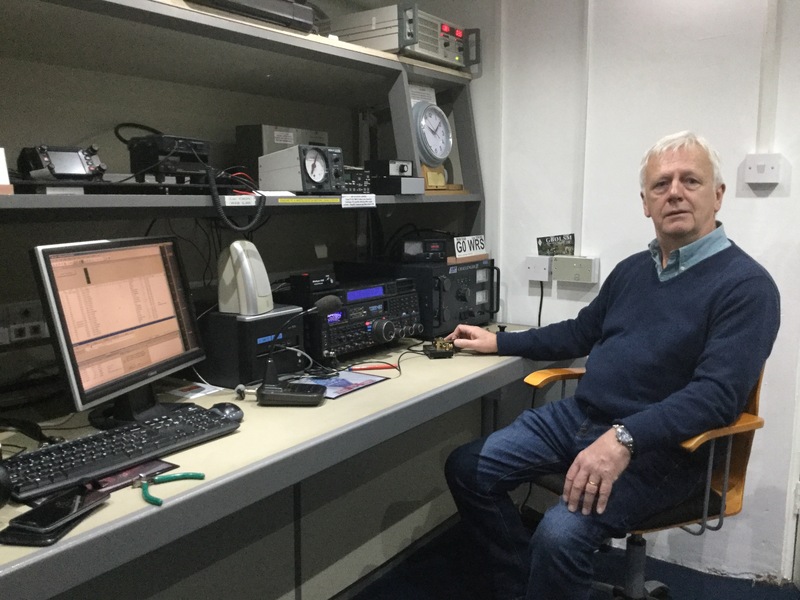 However, the generally held view of many in the hobby, as frequently seen in the radio press such as Radcomm, PW and QST is that clubs, and radio enthusiasts in general, are an ageing group declining in numbers. The need to extend the appeal of the hobby to a wider, younger audience is pressing and I believe that WARC should address this challenge as should other clubs. The attraction of potential new members and their continued interest in the club’s activities is vital. Assisting newcomers in obtaining a license, and thus opening up the world of amateur radio, is fundamental to the growth of WARC. Careful consideration needs to be given to maintaining a group of trainers as well as to ways to attract candidates to join the club and take the exam courses. The programme of events throughout the year is a major area where the club can become visible to the public in general and careful selection and planning is needed to involve as many club members as possible. Outward communication is also a challenge in order to publicise our activities and our willingness to welcome newcomers. I am confident that we have the required radio amateurs, with technical, organizational and social skills, within the club to make this happen and allow us to commit to the right activities in the near future. I am committed to supporting and assisting the committee of the club in our activities. It is important, however, that the views and ideas of all club members are known so as to achieve a dynamic, varied, interesting WARC in which we continue to enjoy amateur radio in the future. Please approach or contact me at anytime should you with your thoughts and feedback on any club issue. The views of all members are important if we are to retain and build on the qualities of the club.